On The Naughty List - A holographic glitter polish filled, with a hue of pink. 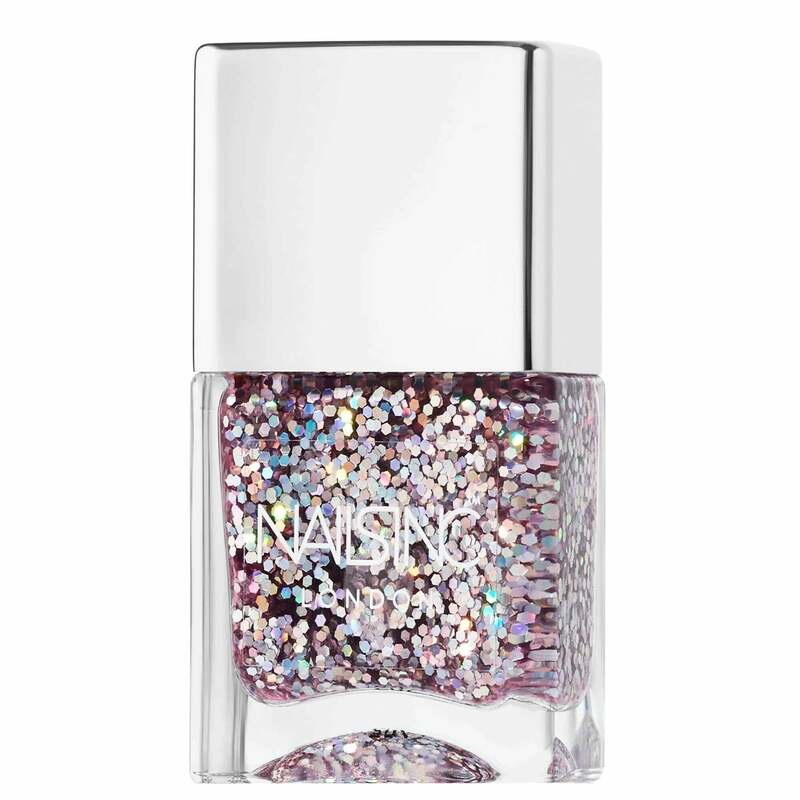 Bring the festivities to you with this sparkly glitter polish. Inspired by all things glittered and sequined. Professionally formulated Nail Polish with an ultra-glossy finish. With a new expertly design brush exclusive to Nails inc, polish can be applied easily. Ergonomically designed to work with the shape of the nail, the brush is also wide and flat to minimise the number of strokes required. Always apply to clean, dry nails. For best results apply one coat of Base Coat. We recommend Caviar Base Coat or NailKale Superfood Base Coat. Follow with two coats of your chosen Nail Polish. Finish with one coat of Top Coat. For touch dry, super glossy nails in 45 seconds, use Caviar Top Coat. Launching 15 years ago, the once small British brand was founded by young entrepreneur Thea Green. After travelling to the US whilst working as Fashion Editor at Tatler, Thea spotted a gap in the UK market for professional high quality manicures and a more fashion forward variety of products for women with little time. Nails inc has become an award winning nail brand famous for catwalk colour, fashion collaborations, innovative special effects and immaculate professional manicures. With nail bars all over the UK, Nails inc is now the UK's number one nail bar chain. Nails inc's top team of technicians regularly work with A-list celebrities and fashion designers including Victoria Beckham, Alexa Chung, Poppy Delevingne and backstage at the hottest events across the globe from high profile shows at London and New York Fashion Week to the MTV EMAs.